MSR Distribution| SLR-107UR SBR - Factory SBR, 7.62 caliber, stamped receiver, short gas system, front sight block / gas block combination. SLR-107UR SBR - Factory SBR, 7.62 caliber, stamped receiver, short gas system, front sight block / gas block combination. As Original As it gets- This SLR-107UR rifle is an Arsenal, Inc. factory SBR in an authentic Krinkov configuration. 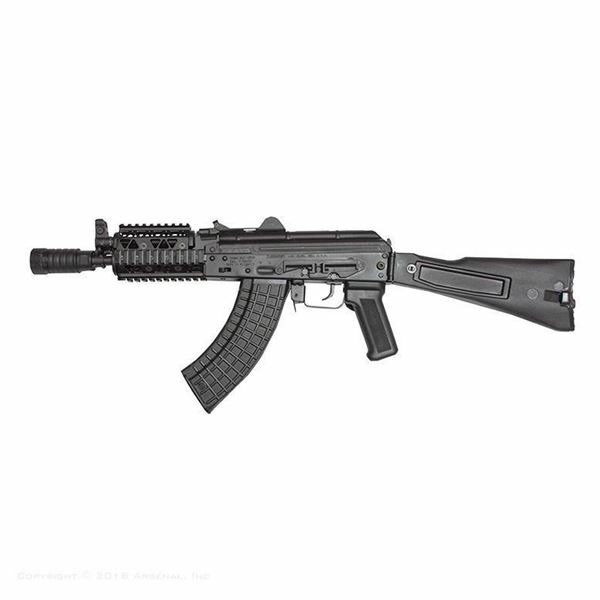 Commanding all the benefits of a factory SBR such as holding a premium value, no additional markings, and factory warranty – the SLR-107UR rifle, chambered in 7.62x39mm, utilizes a short gas system and features a short-length 8.5-inch barrel. Built on a Bulgarian stamped receiver rifle that is built from all original brand new factory parts and premium quality US made components. The furniture consists of a Soviet style pistol grip and left-side folding stock with a cleaning kit compartment. The stock also features a button that engages the front latch assembly, ensuring rapid deployment. On the fore end, the rifle is adorned with the Arsenal PR-03 Picatinny quad rail. The PR-03 follows Arsenal’s legacy of quality and craftsmanship and provides a superior platform for a wide range of attachments such as optics, flashlights, lasers or forward grips. Enjoy shooting at night with this rifle as it sports an authentic Bulgarian four piece flash hider. The SLR107UR is constructed of all new manufactured parts made in both Bulgaria and the U.S. This firearm is fully compliant with Title 18 USC Section 922(r) parts-source restrictions.